Start by making the croutons. You can use just about anything – fresh french bread, an old loaf pulled out of the freezer, wheat loaf, just wing it! You can get as creative or basic as you want here. Slice the bread into bite-sized pieces. Heat a pan on medium-low with a light coating of olive oil and butter (optional, but I think it’s better with both!). Once the butter is melted, toss in a clove of minced garlic. Cook for about 30 seconds and throw in your bread pieces. Stir the bread to coat evenly with oil, butter, and garlic. salt and pepper to taste. Bring heat to low and continue cooking croutons until you get your desired crunchiness. Now, let’s get going on the dressing! 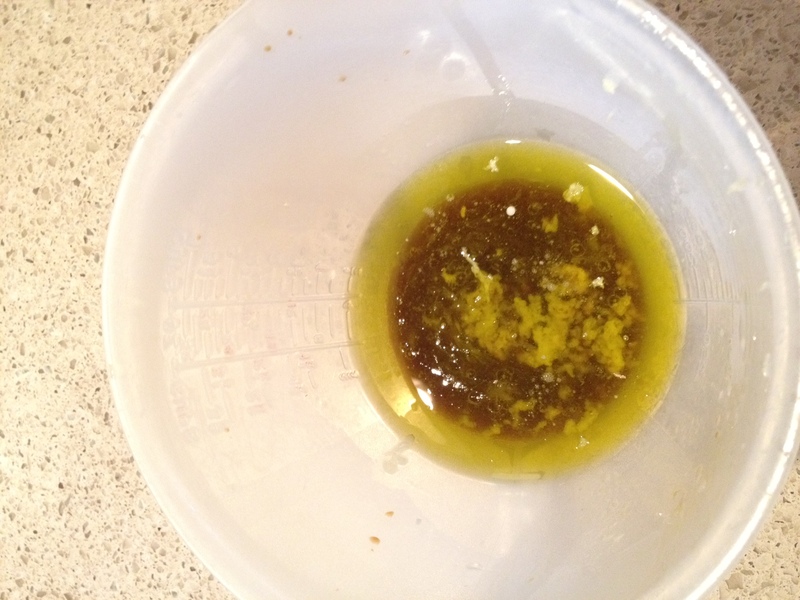 Olive oil, worcestershire, lemon juice, garlic. Combine olive oil, garlic, worcestershire, and lemon juice. Whisk and let stand for about 10 minutes. Whisk in as much mayo as you like until you get the consistency you want. I usually do about 2 large spoonfuls. Set Aside. Onto the romaine! 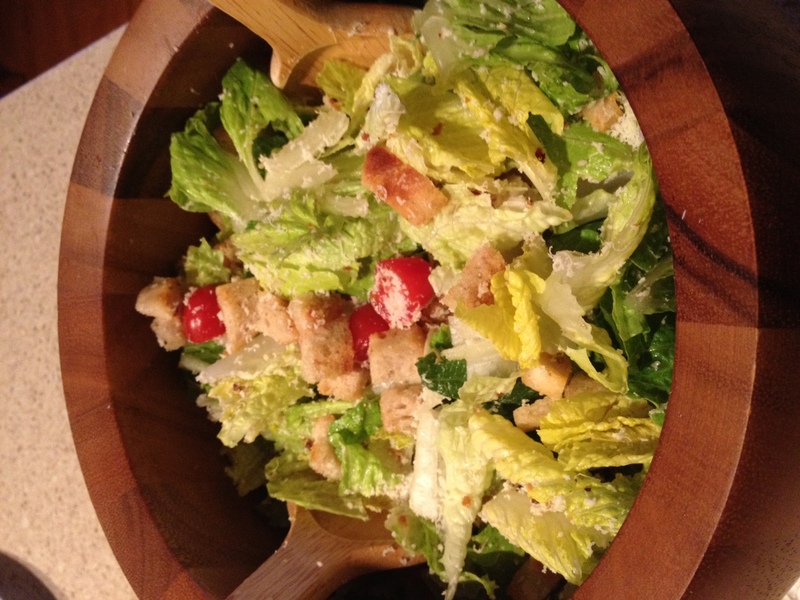 Fresh romaine is much better than bagged for this salad. Wash the greens, and cut off the bulk of the spine if you wish. Lay leaves flat on a towel. If you want a more leafy and less watery salad, cut these out. 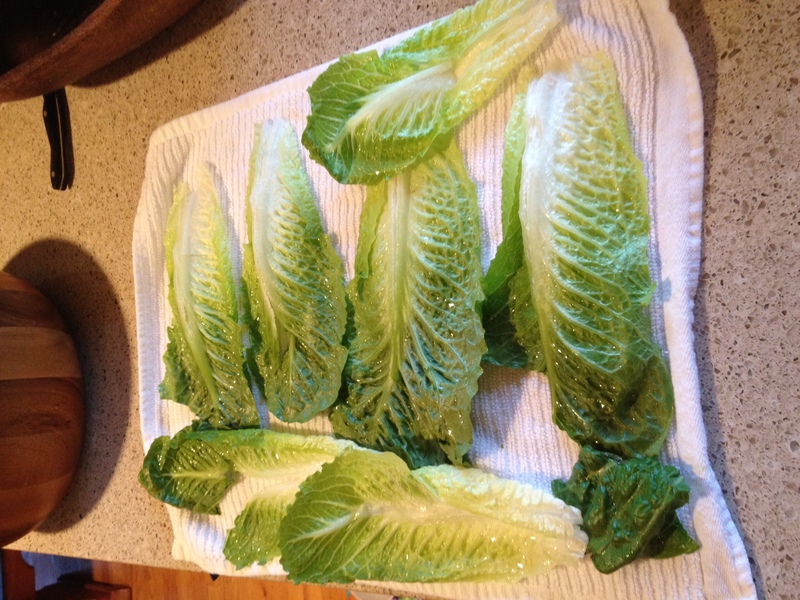 Lay cleaned and trimmed romaine on a towel. 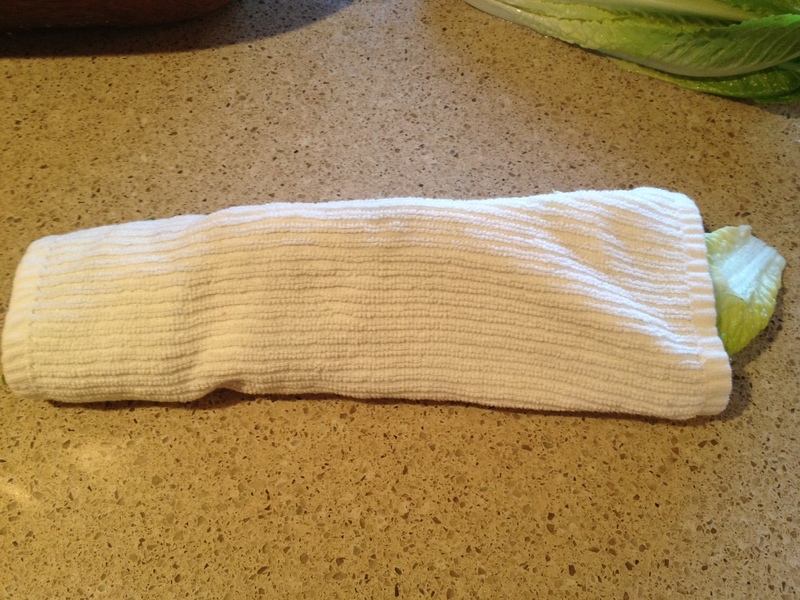 Roll the towel up and let lettuce dry. Unroll once you are ready to put together the entire salad and pat dry if necessary. 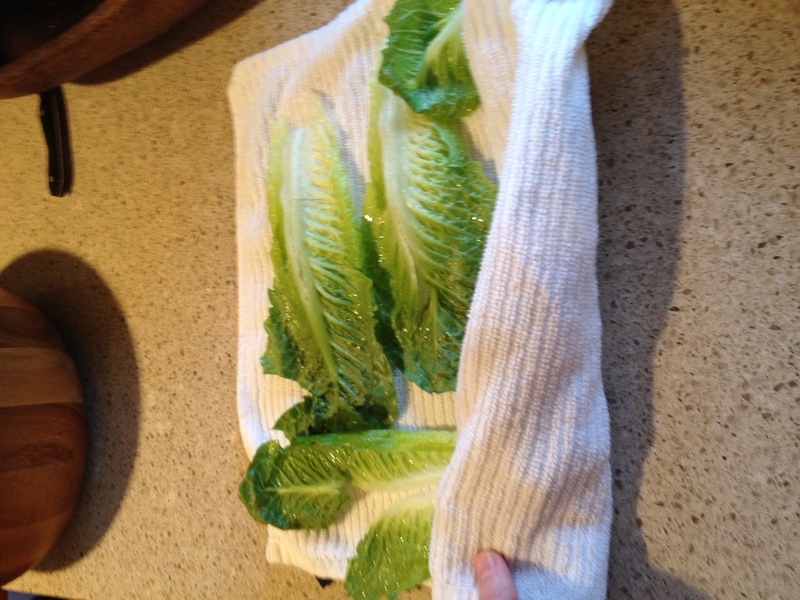 Gently roll up the towel so the romaine dries faster. 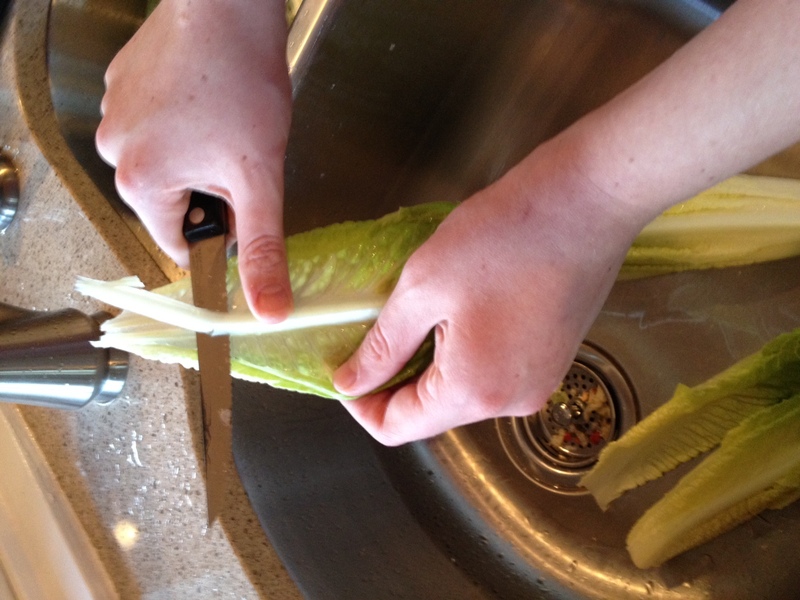 Cut the romaine or break into bite-size pieces with your hand and add to salad bowl. 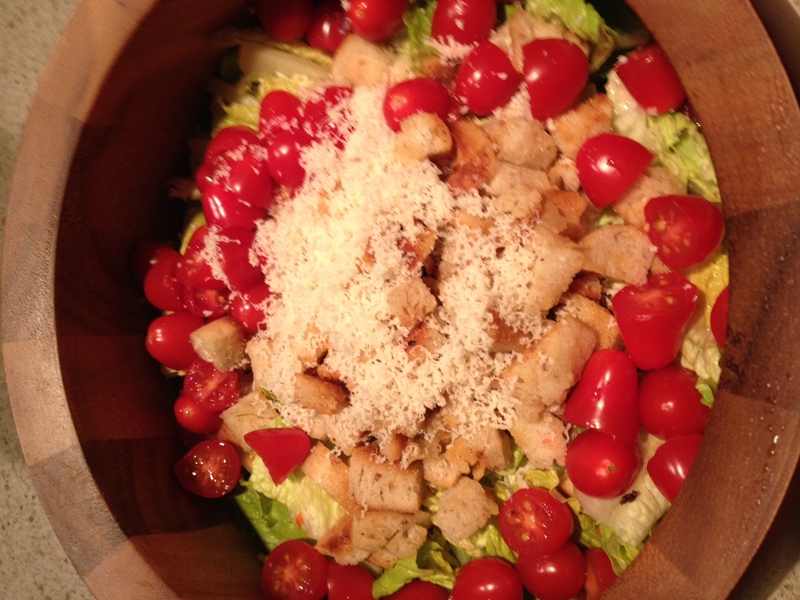 Add croutons, freshly grated parmesan, and halved cherry tomatoes. Add dressing, toss, and serve immediately. For a complete meal, add chicken and/or bacon. Whisk together and let stand about 10 minutes. 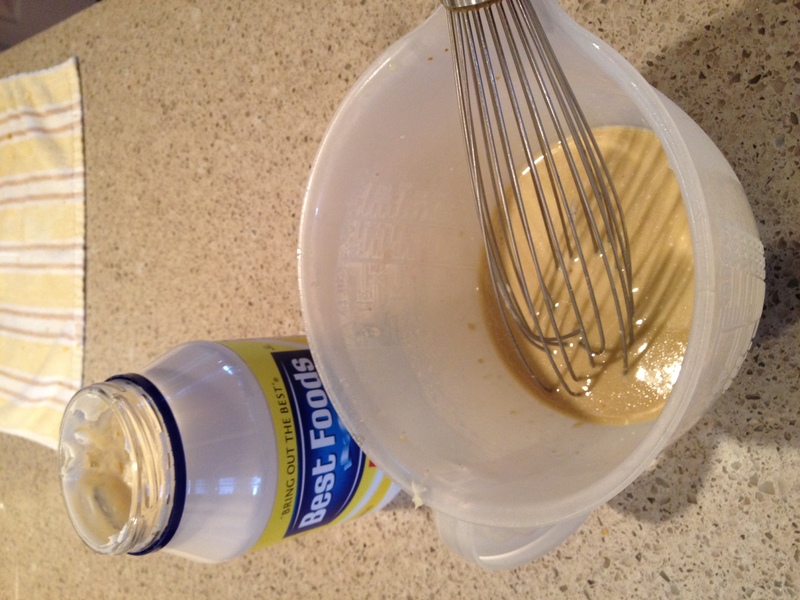 Whisk in as much mayo as you like to get the consistency and taste you want. 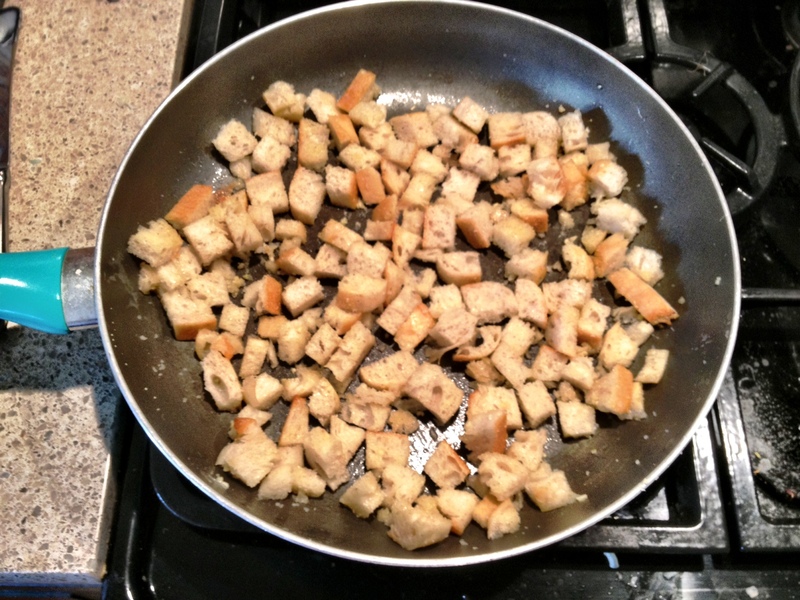 Cut french bread into cubes the size you want for croutons. Heat a large flat pan on the stove to medium-low and pour in olive oil and add butter. Once butter is melted add garlic and sprinkle in sea salt. After about 30 seconds add the cubed bread and toss to coat. Occasionally stir and let bread cook until you get to desired crunchiness, about 10 – 20 minutes. Add Salad ingredients and croutons to a large bowl. Add desired amount of dressing and serve immediately. Optional: Grilled Chicken and Bacon. Ready to get tossed with dressing and served!